We are looking for great, exciting ideas to make Manchester a better place in which to live, work and play. Manchester City Council wants your ideas to create and improve spaces for everyone to enjoy. This initiative is aimed at helping people create special, unusual and interesting projects in Manchester that are shaped and used by local communities and businesses. Many people have great ideas to make better places and spaces in Manchester but they don’t always know how to find the help and funding they need to get things done. 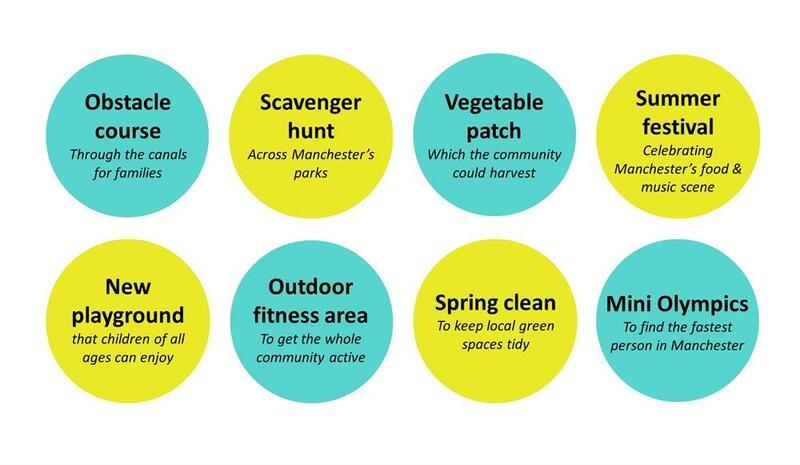 Manchester City Council are partnering with Spacehive to help you shape the city’s shared spaces - through crowdfunding. This means other funders and supporters can pledge to your exciting projects as well. And right now we have a special pledge pot to support any projects that improve parks, green spaces and our waterways and to get more people to use them. We will pledge up to £5,000 towards the crowdfunding targets of the best projects. What type of projects would make Manchester even more special? We're looking for all your great ideas to transform the city but we have a special pot of money for any projects that improve parks and green spaces or which giet people active outdoors. As part of our Green & Active Fund we will pledge up to £5,000 to the best park, canal, green space projects and outdoor activities. So what are you waiting for? Check out some of our fun ideas below and upload your great (and green) ideas today! Our Manchester has a special pledge pot to support projects that improve parks, green spaces and waterways and will get more people to use them. They will pledge up to £5,000 towards the crowdfunding targets of the best projects. Learn more about the fund and how to apply here. The Esmée Fairbairn Foundation is a leading independent funder working across the UK who supports work in the arts, children and young people, environment, food and social change sectors. They have a £200,000 available for projects in Hull, Manchester and the London Borough of Lewisham. Better Communities is here to support projects which encourage local people to be active, learn and play together– it could be organising a sporty tournament, improving a community library or creating a new sports league. Upload your project idea now for the chance to get a pledge of up to £5,000. Learn more about the Better Communities fund and how to apply here. Learn more about the Growing a Greener Britain fund and how to apply here. 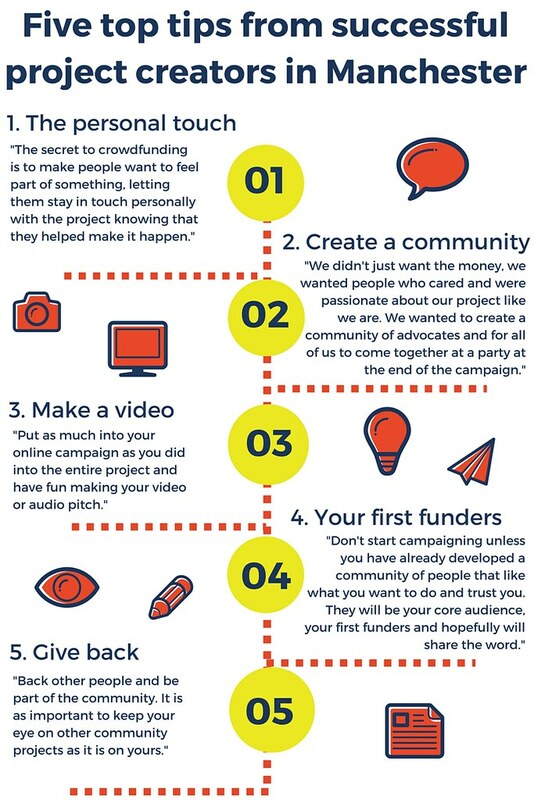 The 10 1/2 tips to reach your crowdfunding goal from Nesta and Crowdfunding A - Z produced by CrowdfundUK are useful tools to help you plan and run crowd funding projects and campaigns. Spacehive also provides online support to help you create your campaign. 1. Before you get started. Please take the time to read through the information we have provided about the kinds of projects we are looking for, who is eligible, and the key timings of this initiative. 2. Create your project page. You need to create a project page on Spacehive. This is your pitch for funding to everyone (us and the rest of the crowd). Use it to explain your vision clearly, get across your passion for your project, and show how it will have a positive impact on the area. 3. 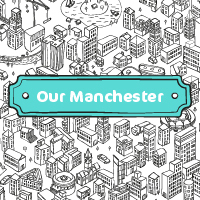 Add your project to the Our Manchester Movement. When your project is created, it will automatically be matched to any relevant Spacehive Movements. This match is based on the impact areas of the projects and the region in which the project is based. The owner of the Movement can accept or reject projects onto their Movements. The Our Manchester Movement is interested in projects based in the City of Manchester which falls under at least one of the followings criteria; Sport & Play, Parks & Gardens, Arts & Culture, Buildings, Food & Farming, Streets & Infrastructure. Projects should also fall under at least one of the following impact areas; Help the environment, Boost the local economy, Increase volunteering, jobs & education, Support the arts, culture & heritage and Promote activity & leisure. 5. Start fundraising. Get as many people as possible to show their support for your project by making a pledge - it doesn't matter whether they pledge £2 or £2,000. For us, the number of community backers you attract is as important as how much you raise. 6. Reach your target You must hit your crowdfunding target, before your deadline to secure all of your pledges from the crowd. This is an 'all-or-nothing' model. It does not cost anything to register your project or make donations on Spacehive. However, Spacehive does charge projects some fees but only if they successfully reach their fundraising target. All fees are included within the project budget and clearly displayed. There is an admin fee of 5% of the total project cost that pays for web site maintenance and for independent experts vetting projects. Then there are transaction fees charged to projects by the secure payment systems that Spacehive uses - Paypall and GoCardless. Transaction fees are estimated on a ‘worst case scenario’ - all funders use the more expensive payment system (PayPal) and all funders make pledges of £20 (attracts the highest fee rate of 3.4% + 20 pence per pledge). In reality the funding scenario is more favourable with many funders using Go Cardless and pledging higher amounts which can bring the fee down to 1.4%. No transaction fees will be charged for cash or in-kind contributions secured by projects before the start of their online campaign on Spacehive. How do I know if my project is eligible? A project is something with a clear end, like building a playground, planting a tree, or putting on a festival. A project will eventually be completed, and something tangible will be produced as a result. Those are the main three, but below is a list of specific uses of Spacehive that are not allowed. What is not allowed? Spacehive cannot be used to raise money for causes, whether it's a charity run for Oxfam or a fundraiser for the work of a local conservation group. Projects cannot offer equity or financial incentives (share of profits, ownership, the repayment of loans or cash-value equivalents). No offensive projects (e.g. murals with racist content) or projects that promote political or religious ideologies. Projects cannot offer rewards that offer entry to raffles, lotteries, or participation in gambling. No projects outside the UK. For more information and advice please contact Anne Strachan at CrowdfundUK who Manchester City Council are working with to support people developing their project idea. Contact anne@crowdfunduk.org for more information. Once our project has been delivered, do we have to do anything? One the project has been delivered you will be required to report on progress and carry out a simple evaluation of your project at the end which shows how you have delivered against your initial ambition. Can I raise more than my project's goal? No. You can only raise as much money as you originally ask for. Spacehive welcomes project ideas from anyone and everyone. But getting things done in civic spaces can be tricky. Because of that, we check over all our projects to establish whether they are viable before they start funding. Verifying projects helps to protect potential funders, makes it more likely projects will succeed, and maintains confidence in the system. Project verification is performed by our partners Locality, organisations that have experience of a broad range of project types between them and are dedicated to helping projects they support to succeed. 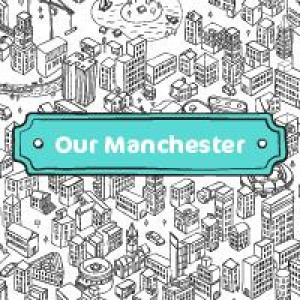 Our Manchester is a partnership between We Love Manchester (the Lord Mayor of Manchester's independent charity), crowd funding specialists Spacehive and a range of partners that are passionate about Manchester.